Sherwin-Williams has released yet another gorgeously creative commercial showing off their color palette. 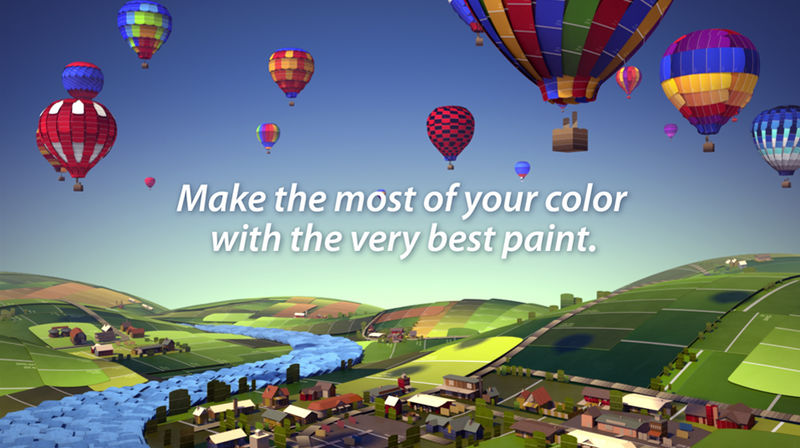 Hot air balloons take off in the morning and fly over a sea of colorful paint swatches that resemble the great plains and travel on through to the city. Directed by Buck, the software used to create this impressive commercial: Maya, V-Ray, Nuke, After Effects, Photoshop, and Da Vinci.